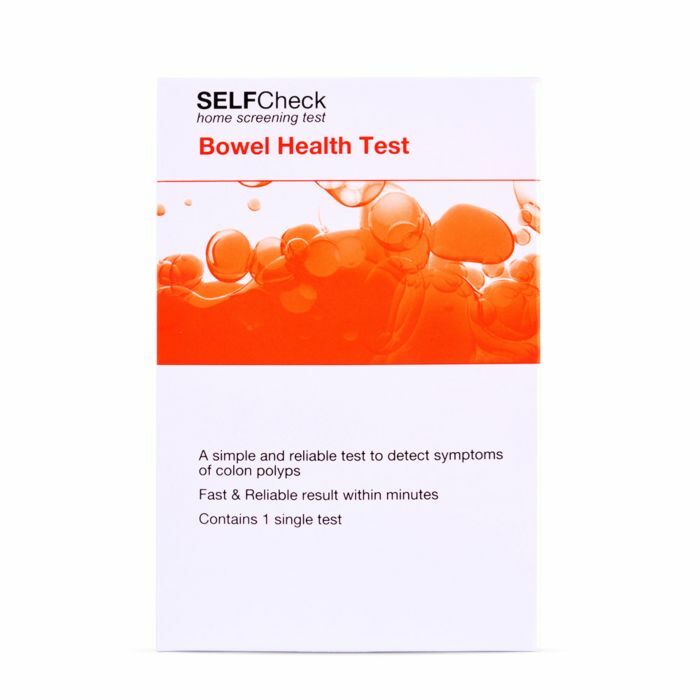 The SELFCheck Bowel Health test is a kit used in the screening of polyps. It is used at home and can detect polyps in the bowel within 5 minutes. Polyps are small growths on the inner lining of the colon which don’t usually have noticeable symptoms and can only be detected through testing. Polyps are very common, more so in men over the age of 60. If polyps are left untreated there’s a risk of them becoming cancerous. The SELFCheck Bowel Health Test is a quick and simple way of detecting these polyps before they get to this stage. The test involves taking a stool sample so it can detect traces of blood in the stool by looking for signs of human haemoglobin (hHB) which may be an indicator of polyps or carcinomas as bleeding may be a symptom. The test can be carried out in the privacy of your home and you don’t need to send your stool to a lab. The device can detect polyps within 5 minutes. How to use the at home bowel health test? It’s important to complete the test correctly to ensure the most accurate results. Firstly pass a stool and collect a sample, for women carrying out the test it’s recommended that you wait 3 days after your period. Once you’ve collected your sample use the stick provided to collect a sample from three different areas of the stool then place the stick in the buffer bottle. The buffer bottle will have a solution in it and you should shake the bottle to mix it with the sample. Place two drops of the sample on the test cassette on the part marked ‘S’ and then wait five minutes exactly. There are two levels marked as ‘C’ and ‘T’, if a purple line appears at the ‘C’ level this indicates a negative test result, however, if a purple line appears at both the ‘C’ and ‘T’ level this means a positive result. No lines means the test is invalid as it may not have been completed correctly or it has been damaged. The test is highly accurate at detecting blood in the stool, however, it should not be relied upon to detect cancer. However, blood may be an early sign of cancer and an accurate positive result of blood may prompt you to visit your GP. What to do next depends on your result, if it is a positive result it’s important not to worry or think the worst as signs of polyps doesn’t always mean you have cancer, and blood in the stool can be caused by a number of factors. Knowing if you have polyps is beneficial as you can reduce the risk of them becoming cancerous by having them removed. If you have a positive result you should see a doctor as soon as possible particularly if you also have symptoms. Further tests will be carried out and a treatment plan put in place if necessary. Who is suitable for the test? Anyone can buy an at home test kit if they’re concerned about their bowel health or are experiencing symptoms. Bowel cancer usually affects people over the age of 50 so if you’re approaching this age, now is a suitable time to get tested. It’s recommended that you test once a year if you’re over the age of 40 but you should begin testing earlier if you have a family history of bowel cancer. At home test kits make regular testing a lot more convenient, they’re simple to use and take just 5 minutes to produce a result, and you don’t have to take time out to visit your GP if you have a negative result and are not showing any symptoms. Bowel screening is so important to detect any problems with your bowel that may potentially develop into cancer. Bowel cancer is the fourth most common cancer in the UK but it is treatable if caught early enough. Home test kits allow you to monitor the condition of your bowel and spot the signs early enough to get potentially life saving treatment.